However, to the dearly treasured following that I do have (who probably at this point are looking up from the screen thinking “it’s been a week already?”), I do apologize. As I mentioned in my last post my parents are over from Norway. I haven’t seen them in 7 months and they’re only staying 10 days, so my posts have been put slightly to the side. 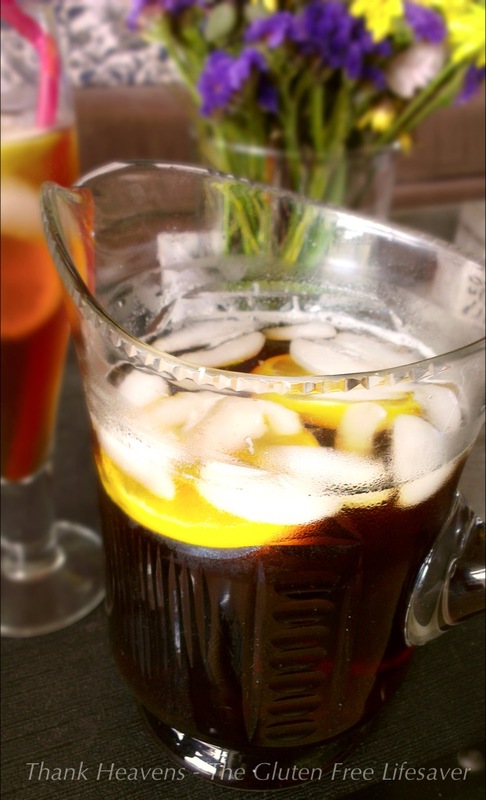 I hope you’ll forgive me, and I aim to wipe out any grudges by sharing a delicious recipe for iced sweet tea that is sure to tickle your fancy! I quite agree with Ms. Poppins that a spoon-full of sugar tends to make the medicine go down, and so this recipe should do the trick. 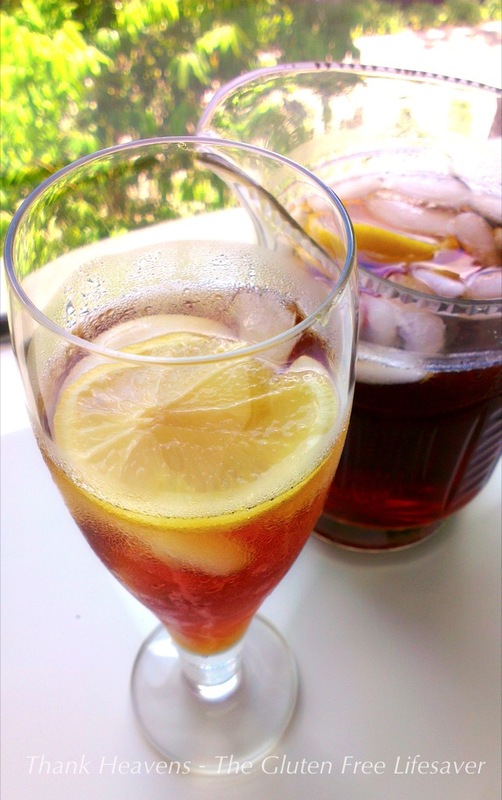 I originally found this beautiful iced tea recipe via Pinterest from a blog called Craving Comfort. I changed it only a little bit, and I assume you can do the same to suit your taste, but the “secret” ingredient I would not dare touch as it totally makes this tea! Cover the jug and let it steep for 15 minutes before you remove the teabags and add sugar. Take care to stir until the sugar is completely dissolved before you add cold water. Refrigerate and add lemon + ice cubes before serving it. This iced tea is divine and completely free of that bitter tea “after-taste”! Thank you Kristine, this sounds divine, I am going to make this tomorrow as the temp is going to be 36 dg tomorrow. Oh I wish we had a bit more sun here in QLD too.. we’re practically washing away at the moment! I do hope you enjoy your iced tea, and thank you for stopping by! Baking soda??? Interesting..I’ll try this. I do love ice tea, but mainly I’ll do anything to get in a more spring-summer state of mind! I’m so very over winter here in NYC. The secret ingredient is so interesting. Can’t wait to give it a try! Nothing like a yummy iced tea to bring on the summer feeling! In fact it’s just what we need here.. My parents have had 3 days of sun on their 12 day visit ha (out of something like 300 sun days in QLD) Nothing like a bit of luck!